On Tuesday night, the Kings XI Punjab and the Rajasthan Royals face off yet again. 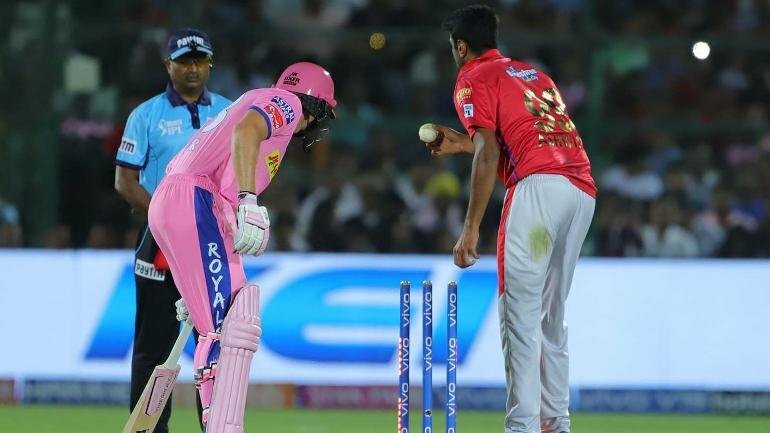 Hopefully, this IPL 2019 match should be much cleaner considering what drama unfolded last time. Punjab need this win to get in the fight for the IPL 2019 playoffs and Rajasthan just want to get their campaign on track. Tomorrow’s IPL 2019 match will be held in Mohali and ES will help with the Dream 11 Predictions in case fans are still unsure. People interested in Dream 11 predictions will likely have a hard time figuring out the perfect 11. But we have it sorted for them. We will provide an extensive detailed analysis helping fill up the perfect 11. Punjab are currently boosted by the inclusion of KL Rahul and Mohammed Shami in the World Cup squad. So, it is up to the two to deliver a good performance in the IPL to convince the BCCI that their faith was not misguided. Meanwhile, Rajasthan are high in confidence in the wake of a victory over the Mumbai Indians. They will be hoping to carry on their form in this match as well. Punjab: David Miller, Chris Gayle, Mayank Agarwal, Karun Nair, KL Rahul, Sam Curran, Ravichandran Ashwin, Mujeeb Ur Rahman, Murugan Ashwin, Mohammed Shami, Ankit Rajpoot. The pitch in Mohali used to boast of lightning fast pace and even offered bounce for the pacers. But, as time took its toll, it has slowed down. Though it still churns out a decent wicket for batting. Even scores of over 180 have been chased down in the history IPL at the ground. The weather is fairly pleasant, with the temperature ranging between 29° C and 18°C. Rajasthan and Punjab have met a total of 18 times before IPL 2019. Currently, the pendulum swings in Rajasthan’s favour with 10 wins to Punjab’s 8. The highest score statistic swings towards Punjab with 221 to RR’s 211. The lowest score statistic also sees Punjab on 124 to Rajasthan’s 112. In this IPL 2019 matchup, KL Rahul goes up against compatriot Sanju Samson. But the Rahul has the edge due to his terrific form and a call-up for the World Cup provides the perfect boost. He boasts of a highest score of an unbeaten century in IPL 2019 at a strike rate of 130.85. On the batting front, Mayank Agarwal and Chris Gayle make their way onto the IPL 2019 Dream 11 list for the Kings XI Punjab. This is because both have been in blistering form on a number of occasions and can tag team. The remaining two places are occupied by Rajasthan’s Jos Buttler and Ajinkya Rahane. All four players are excellent in their own right and should perform well. Only two all-rounders make the IPL 2019 list with Sam Curran and Ravichandran Ashwin from the Kings XI. Interestingly, no player from Rajasthan made it onto the all-rounders list. Curran has scored a total of 34 runs from 6 matches at a strike rate of 170.00 with 7 wickets under his belt. Ashwin does not offer much in the run department in IPL 2019 but he has 9 wickets as well as having an economy of 7.62. On the bowling front, Shreyas Gopal and Jofra Archer have been very effective for Rajasthan Royals. Gopal has picked up 8 wickets with best figures of 3 for 12 at an economy of 6.41. Archer has an economy of 7.22 with 7 wickets in hand. Punjab have Murugan Ashwin and Ankit Rajpoot as their best bowlers. Ashwin has amassed 2 wickets from 4 matches and boasts of an economy of 6.50 in IPL 2019. Rajpoot has 3 wicket under his belt and economy of 8.83. Interestingly Jos Buttler will be the pick for skipper and the ideal second in command for this IPL 2019 Dream 11 match is KL Rahul.